Model G4011.1. Movement is an automatic wind and features perpetual calendar. 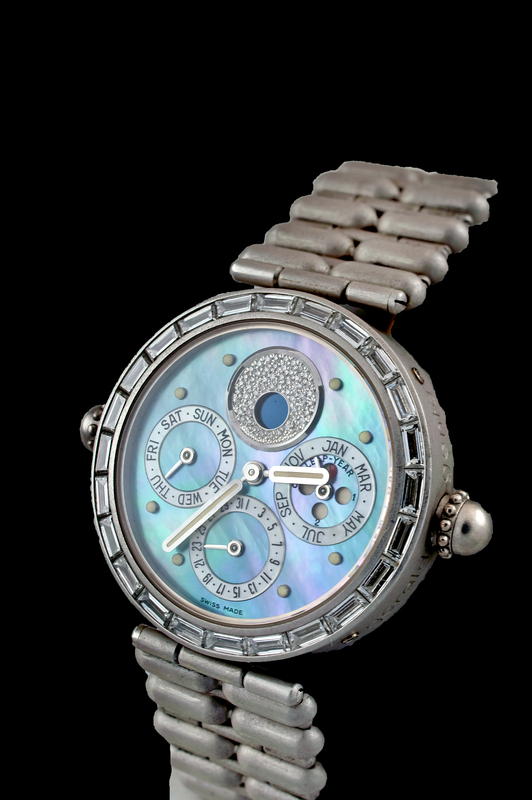 Mother of pearl dial with sub-dials for day, date, and month. 24 genuine baguette diamonds in the bezel at an estimated weight of 1.25 carats. Case and band are white gold with a brush finish. This watch is a unique piece, 1 of 1.